Earth Day is an important annual event that’s a great way to teach children about the environment and their lasting legacy on the planet. Kids are naturally in awe of the wonders of nature and Earth Day is the perfect time to cultivate that awe into concrete action. Aside from what they may learn in school about the environment, teaching your children about nature, all its creatures, and how humans affect it all is incredibly important. These are just some of the fun ways that kids can get involved on Earth Day and maintain an interest in protecting the environment. Saving the environment is a huge part of what Earth Day is all about. 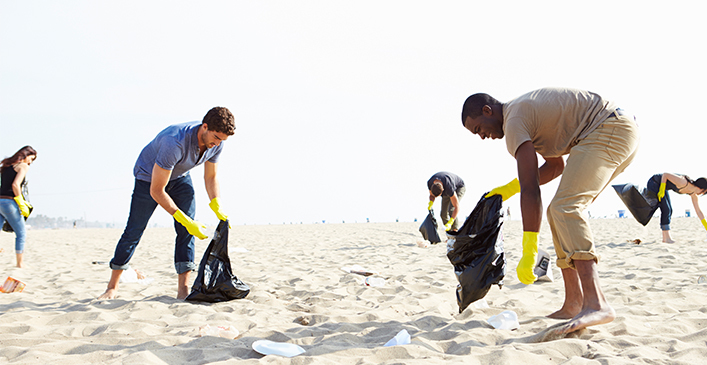 The Surfrider Foundation, and other nature conservancy nonprofit organizations, host beach cleanups on Earth Day. Events are very kid friendly with live music, crafts, raffles, and food for volunteers. The foundation has over 80 chapters, so there’s sure to be one near you if you live near the coast.